Looking for deeper insight on markets? In tonight’s Closer sent to Bespoke Institutional clients, we review today’s FOMC decision, the last one for the foreseeable future without a press conference. We also take a look at the intraday versus overnight performance of a wide range of US sector and non-equity ETFs over time. 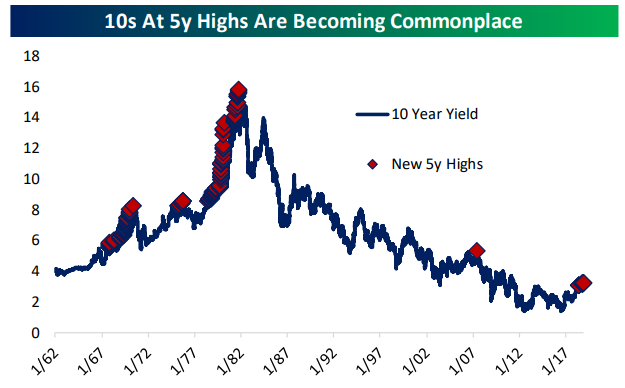 Finally, we make some cross-asset observations including the persistent run of new 5 year highs for the 10 year yield, a phenomenon we haven’t seen in a very long time.